Vanoli V. Chander is an associate with Horwitz + Armstrong, A Professional Law Corporation; her primary focus is general business and commercial litigation. Her previous litigation experience was focused on personal injury and general civil litigation. Ms. Chander graduated from University of Western Ontario with a Bachelor of Science and received her law degree from Western New England University, School of Law. 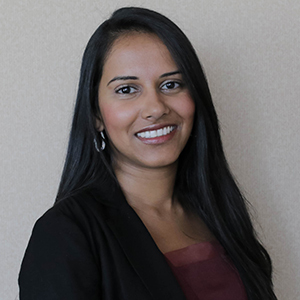 During law school, Ms. Chander worked in the areas of public interest, with organizations such as the HIV/AIDS Law Consortium, Court Appointed Special Advocates and the Connecticut Department of Public Health. She was awarded the Attorney General Award of Recognition for Community Service in 2009. Ms. Chander is an active member of the Orange County Bar Association and Orange County Women Lawyers Association. She is admitted to practice before the U.S. District Court, Central District of California and the U.S Ninth Circuit Court of Appeals. Ms. Chander is on a Board Member of Playwright’s Project and a volunteer with the California Innocence Project.